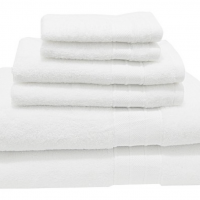 Amy's Daily Dose: 6-Piece Threshold Towel Set ONLY $4 + FREE Shipping! 6-Piece Threshold Towel Set ONLY $4 + FREE Shipping! Right now at Target you can pick up a 6 piece thresold towel set for only $4 and FREE shipping! These would make an awesome Christmas gift idea!